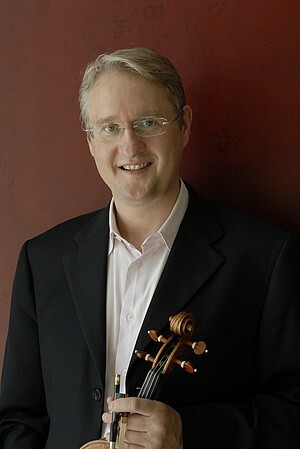 Daniel Gaede was concertmaster of the Vienna Philharmonic from 1994 to 2000. As a soloist he gave concerts with leading orchestras such as the Vienna Philharmonic, the Philharmonia Orchestra London, the Polish Chamber Orchestra and the London Sinfonia Orchestra with conductors such as Claudio Abbado, Richard Hickox, Bernard Klee, Riccardo Muti and Michael Tilson Thomas. He has been active in the field of chamber music with, among others, P. Tortelier, M. J. Pires and Natalia Gutman. Daniel Gaede recorded CDs with Deutsche Grammophon, CPO, Oktavia Records, Largo Records, Querstand, Tacet and Sony and received various awards for this (including the “Diapason d’Or”). His students were winners and laureates of international competitions and are sometimes working freelance as soloists or in chamber music. Some of his students have been concertmaster positions with the Sinfonieorchester Basel, Beethovenorchester Bonn, Staatstheater Darmstadt, Staatsorchester Braunschweig, Nürnberger Symphoniker, Nürnberger Philharmoniker, Ensemble Kontraste and the Youth Orchestra of the European Community. Others play at the Leipzig Gewandhaus Orchestra, Mahler Chamber Orchestra, Staatskapelle Dresden, Spira Mirabilis, Orchestra Mozart, Munich Philharmonic, Bavarian Radio Symphony Orchestra, Saarländisches Staatstheater, Deutsche Oper Frankfurt and the Lucerne Festival Orchestra. Meanwhile, former students are also active as teachers (including professorship in Seoul, teaching at German conservatoires).